Photos courtesy of the Colorado Horse Park. Parker, CO – December 19, 2014 – Mark Bellissimo announced today that a new partnership has been formed and has signed a contract to acquire the Colorado Horse Park (CHP) in Parker, Colorado. The 148-acre Colorado Horse Park was founded by Helen Krieble in 1992 and is the largest horse park west of the Mississippi. It hosts over 40 events per year, has 11 competition arenas, 100 Boarding Stalls, an RV Park, 2 Covered Arenas, 300 permanent stalls, and enough portable stalls for over 1,000 competing horses. The partnership is also contracted to acquire an additional 47 acres zoned as residential that abuts CHP. CHP’s “Summer in the Rockies” series is one of the most prominent hunter/jumper equestrian circuits in the United States and spans over six weeks. CHP hosts all types of equestrian events including Hunter/Jumper, Eventing, and Dressage competitions and has hosted the North American Young Rider Championships three times. CHP also has a long term contract on 276 contiguous acres which hosts a cross-country course designed by Eventing Olympian David O’Connor. The partnership, to be named Colorado Equestrian Partners, includes Mark and Katherine Bellissimo, Roger and Jennifer Smith, Howard and Gwen Dvorkin, Lisa Lourie, and Diana and Jenji Mercer, who are also partners in the Palm Beach International Equestrian Center, which operates the world-renowned Winter Equestrian Festival (WEF) and the Global Dressage Festival (GDF) in Wellington, Florida, and the newly established Tryon International Equestrian Center in Tryon, NC. WEF is the world’s largest and longest running equestrian festival which spans 12 weeks and hosts participants from 50 states and 33 countries and has over $8 million dollars in prize money. 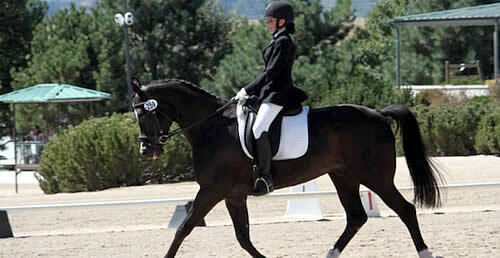 The GDF is the world’s largest dressage competition and includes seven CDI competitions over the winter. The WEF and GDF events contribute close to $200 million dollars in annual economic impact on Palm Beach County and generate over 120,000 bed nights for local hotels. Consistent with its other facilities, the partners will be developing philanthropic initiatives as well as developing outreach programs to work with community schools to raise awareness to the opportunities in horse sports.